This week on “Mostly Football”, Martellus Bennett and crew discuss the struggles of three NFC East teams: the Dallas Cowboys, New York Giants and Philadelphia Eagles. They also get a visit from rapper Curren$y. Additionally, the crew discusses a pair of sequels (“How High 2” and Floyd Mayweather Jr. vs. Manny Pacquiao), Thursday night’s Eagles-Giants matchup, and Yahoo Sports Fantasy expert Liz Loza gives advice going into Week 6. 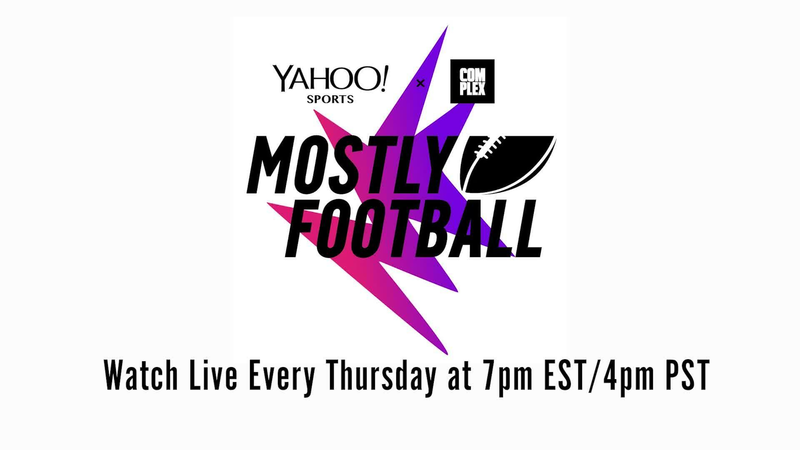 Tune into “Mostly Football” at 7 p.m. ET Thursday on Yahoo Sports’ website and the Yahoo Sports mobile app.